Situated in beautiful Southeast Orlando, Dwell Nona Place offers spacious one and two bedroom apartments, and three-bedroom townhome floor plans featuring luxury amenities close to a variety of attractions including opportunities for higher education like the University of Central Florida College of Medicine Lake Nona. Our rental community is located on Narcossee Road, putting you within easy access of everything the southern Orlando area has to offer. 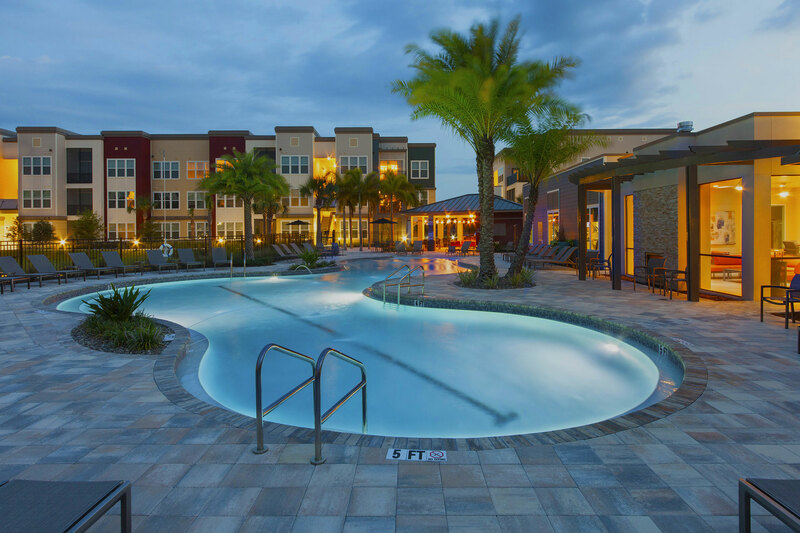 Located just 10 minutes away from campus, our apartments near UCF College of Medicine Lake Nona provide the perfect retreat whether you’re beginning your education or furthering your career. The University of Central Florida College of Medicine Lake Nona is a public medical school located on the UCF Health Sciences Campus in the 650-acre compound of Medical City. Opened in 2006, this college serves more than 2,400 undergraduates, and over 300 postgraduates including PhD and MD candidates. As one of the newer medical schools built from scratch, this college employs the latest and greatest technologies with a focus on innovation, high-tech learning tools and a pioneering spirit. UCF College of Medicine Lake Nona offers joint degrees, including an M.D./Ph.D., an M.D./M.B.A. and an M.D./M.S. degree in hospitality. The campus also employs more than 1,100 academic staff. Dwell Nona Place provides on-site amenities like a beach entry resort style pool, luxurious pool cabana with grilling station & lounge lounging, and a pool beach space with palm trees and hammocks that will allow you to melt the stress of the day away right at home. Our apartments near UCF College of Medicine Lake Nona feature soaring ceilings, designer cabinetry, ample storage, and a full size washer and dryer in each apartment home. Our convenient location also puts everything the Orlando metropolitan area has to offer right at your fingertips. Contact us today to learn more about Dwell Nona Place and schedule a tour of your next new home!